Image courtesy of Julianna Deering. Earlier this week I began a series of reviews on Julianna Deering’s Drew Farthering Mysteries. If you want to read my reviews on the previous books in the series, you can find them here and here. I must admit, finishing Murder at the Mikado meant that I had read more fiction in January 2015 then I did in all of 2014. However, I have enjoyed it. It is nice sometimes to have a good novel to read– even better if it is a thrilling murder mystery! Honestly, I was a bit underwhelmed with the first book of the series, but I felt very hopeful after the second book. 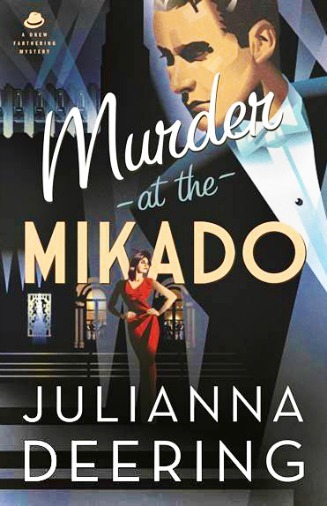 I can say now that Murder at the Mikado, the third, and latest, book in the series, did not disappoint! Full of suspense, intrigue, and secrets, it held my attention until the very end, and lacked the things that irritated me in the earlier books of the series. Set in late 1932, Drew and Madeline’s wedding preparations are under way, and they have settled into a happy life in Farthering St. John with Aunt Ruth. But when a secret from Drew’s past is revealed, it threatens to destroy their future. Can Drew, Madeline, and Nick unravel the mystery before all is lost? And will Drew and Madeline make it to the altar? A little tidbit for lovers of the 1961 Disney film, The Parent Trap: remember when Miss Inch punishes the girls for their unladylike behavior? She quotes Gilbert and Sullivan’s opera, The Mikado, saying, “let the punishment fit the crime”. As you can guess, the title of that opera is the source of part of the title of Deering’s book. Look for several Gilbert and Sullivan operas to be referenced in Murder at the Mikado. My favorite of the Drew Farthering Mysteries so far, Murder at the Mikado is a thrilling mystery sure to please, and I would highly recommend it! I would give Murder at the Mikado an “A”. You can find out more about Julianna Deering and her mysteries here. Disclosure of Material Connection: I received a copy of the book free from the publisher through Baker Publishing Group. I was not required to write a positive review. The opinions I have expressed are my own. 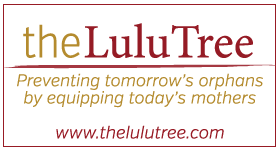 I am disclosing this in accordance with the Federal Trade Commission’s 16 CFR, Part 255 . Earlier this week I began a series of reviews on Julianna Deering’s Drew Farthering Mysteries, beginning with the first book, Rules of Murder. 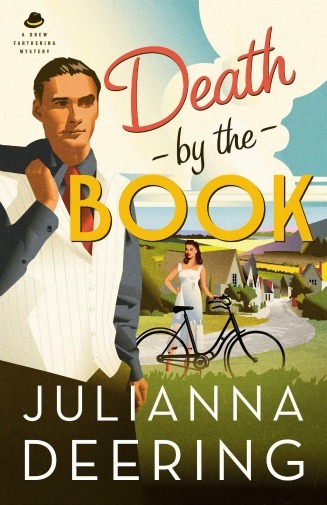 The second book in the series, Death by the Book, is set in the Summer of 1932. While Drew Farthering, amateur detective, is taking over the estate after the murders of his mother and step-father, and trying to convince his American girlfriend to marry him, a series of murders that all seem to be connected back to him and his small circle of friends sets him off on a brand new adventure. Can he decipher the mysterious clues left behind by the killer? Is the killer trying to tear him and Madeline apart? Dark secrets begin to appear as Drew untangles the web of mysterious murders, and he wonders if anyone is really as they seem. Deering’s Death by the Book is a fascinating mystery that will keep you on the edge of your seat, flipping pages until the mystery is solved. I did find, though, that the pacing of Death by the Book was a bit off, as I had guessed the killer only two-thirds into the book. I was disappointed in the treatment of Madeline’s American aunt, Ruth Jansen, throughout Death by the Book. She is viewed as a needless, and somewhat senile, bother, someone to be won over with dolls and cats, rather than as a loving and concerned chaperone. Overall, Death by the Book was a wonderful read, and while somewhat lacking, was nonetheless enjoyable. I would recommend it to anyone who loves a good, clean mystery, and I would give Death by the Book a “B”. You can learn more about Julianna Deering and her mysteries here. I’ve mentioned before that I love a good mystery novel. I love any well-crafted story, but if you give me a well-crafted murder mystery? Well, you just found the way to my heart! Over the next week I will be posting reviews of Julianna Deering’s Drew Farthering Mysteries. So far there are three books, beginning with Rules of Murder. Set in 1930s England, Deering has created a world where Downton Abbey meets Agatha Christie. Lovers of good mystery novels, Drew Farthering and his friend Nick team up to solve a string of murders. Drew, however, is distracted by his new friend from America, Madeline. Can they solve the mystery before the murderer gets away? 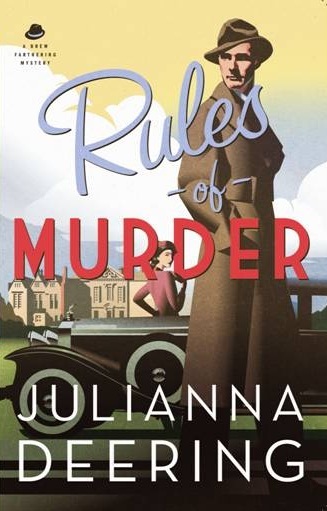 I must admit that I felt that Rules of Murder was a bit of a knock-off, pulling elements and inspiration from multiple sources, but not coming across as a coherent whole. My greatest concern was that the theology presented in the book was a bit shaky. While referencing the Westminster Shorter Catechism and Scripture, which I appreciated, Rules of Murder also seemed to infer that we must come to Jesus of our own volition, and that Jesus simply waits for us, which is not what Scripture teaches (Romans 5:8, Ephesians 2:5, Colossians 2:13). I was also disappointed in the way that Deering handled the romantic interaction between Drew and Madeline in Rules of Murder. It felt forced, consuming too much of the story. Why couldn’t Drew and Madeline just be friends? At times I felt like I was reading a romance novel, rather than a mystery. I also found Madeline to be a weak female character, especially as she is the primary female character throughout the book, as well as the main character’s love interest. Overall, I found Rules of Murder to be both disappointing and enjoyable. With a tighter focus, I believe Deering could quite possibly become a great mystery writer, something that the Christian market desperately needs. I would give Rules of Murder a “C”. While I love a good novel, I struggle to find a well-written, clean, and intriguing novel. Of the seventy-nine books I read last year, only four were novels. What can I say? After you’ve read classics like To Kill a Mockingbird and L.M. Montgomery’s Anne books, it’s hard to read bland fiction. 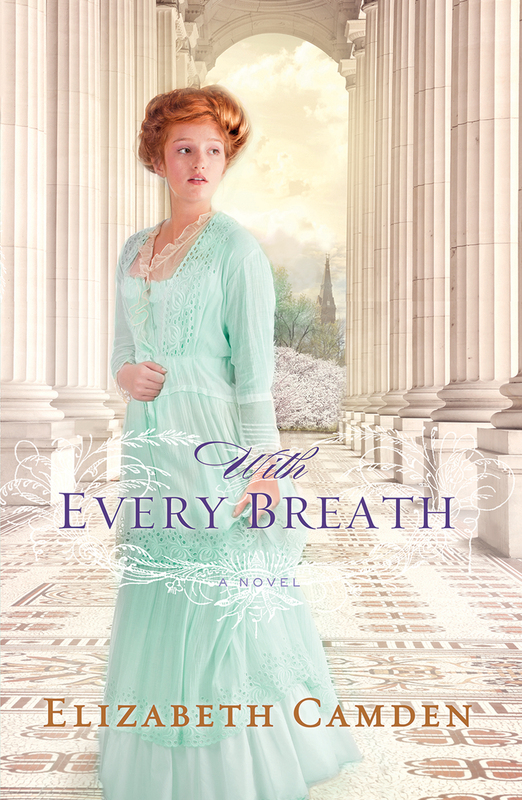 Elizabeth Camden’s With Every Breath is certainly not bland or boring. 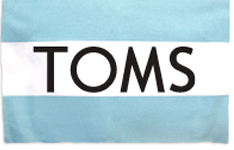 Set in 1891 Washington D.C., Kate Livingston is a lively, brilliant, redheaded statistician. When she receives a mysterious request to interview for a job at Washington Memorial Hospital, Kate is launched on a journey filled with past rivalries, death threats, and medical research on one of the most deadly diseases of the time. As Kate struggles to come to grips with her faith and the brevity of life, she is confronted with her lack of faith, the finitude of humanity, and the Sovereignty of God (Proverbs 3:5, Psalm 103:15-16, Proverbs 16:9). Overall, With Every Breath is a wonderful and fascinating novel that I will be reading again, and would highly recommend. I would give With Every Breath an “A”. You can find out more about Elizabeth Camden and her other books here. Since I was a child, I have a had a deep love for mysteries. I grew up devouring series like Mandie, The Lily Adventures, and eventually, The Hardy Boys. I was excited to have the opportunity to read and review a mystery novel by Carol Cox, Truth Be Told. 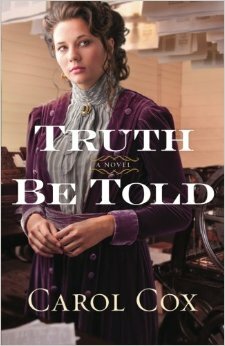 Set in Arizona in the late 1800s, Truth Be Told is filled with mystery, murder, and a little bit of romance. When Amelia Wagner inherits her father’s newspaper, she is determined to honor his legacy of reporting the truth. But what is the truth? Why are people disappearing? And is her new friend, Ben Stone, involved? Can Amelia solve the mystery before more people are hurt? Filled with references to God, Scripture, and the call of Christians to ever be mindful of John 8:32, I appreciated the author pointing out that while all Christians are called serve God, that doesn’t mean we are all called to be pastors or missionaries. We can serve God wherever we are, doing all for His Glory (1 Corinthians 10:31). I did, however, feel that the author did not appropriately handle the recurring theme of alcohol consumption. While rightfully condemning drunkenness, Truth Be Told went further, seemingly embracing the viewpoint of the Temperance movement, which contrary to Scripture, condemned all consumption of alcohol. Overall, Truth Be Told was an intriguing mystery, one which I am sure lovers of mystery will enjoy. I look forward to reading more of Cox’s mysteries in the future. I would give Truth Be Told a “B”. You can find out more about Carol Cox and her other books here. 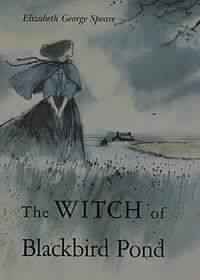 For several years now I have heard people mention The Witch of Blackbird Pond. Not being someone who is into books about witches, I never really paid much attention to anything that was said about it. Until I was reading through a book about all the ‘best’ books, and it had a synopsis of the book. I was immediately interested in the book! So the next time I dropped by my local library to pick up my stack of held books, I asked the librarian if they had a copy. They did, so I checked it out and carried it home, eager to start it! The book was an easy read, since it was written for children, but I found it was an extremely interesting story. Set in 1687, it follows sixteen-year-old Kit Tyler from her arrival in Connecticut from Barbados, through the ups and downs of her intriguing and complex relationships with her Uncle Matthew, Aunt Rachel, cousins Judith and Mercy, the Widow Tupper, and Nat Eaton. At the beginning of the story, we meet a very selfish, self-centered, and proud Kit, who arrives in Connecticut very naive and spoiled, and we watch as the story unfolds, and Kit grows up over the course of a year, working hard, making difficult decisions, and begins to care about others. One of the changes we see in Kit is her boldness in helping the Widow Tupper, a Quaker and outcast of the community, and Prudence, a neglected and lonely little girl. While Kit’s heart was not always right in giving help, and her methods were not the most honest, she was exemplifying James 1:27, by practicing true religion by going “to visit orphans and widows in their affliction”. While not proposing that the ends justify the means, I do think what we see in Kit is a flawed protagonist struggling to do the right thing. 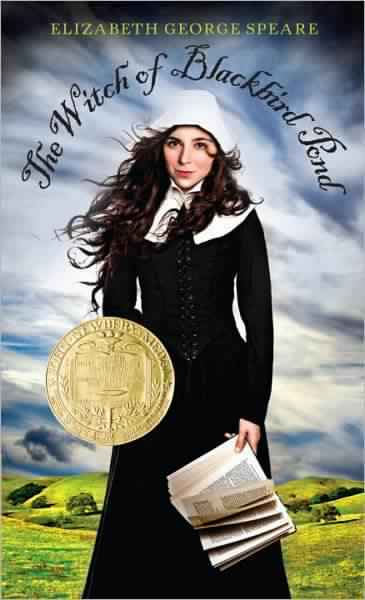 Overall, I found The Witch of Blackbird Pond to be a very well written, powerful, coming-of-age story about a girl struggling to do what is right. Parents should be warned that the potentially offensive (for some) topic of Halloween is discussed. I thoroughly enjoyed the book, and look forward to reading it again! I would give the book an “A”. Have you read the book? If so, what are your thoughts? 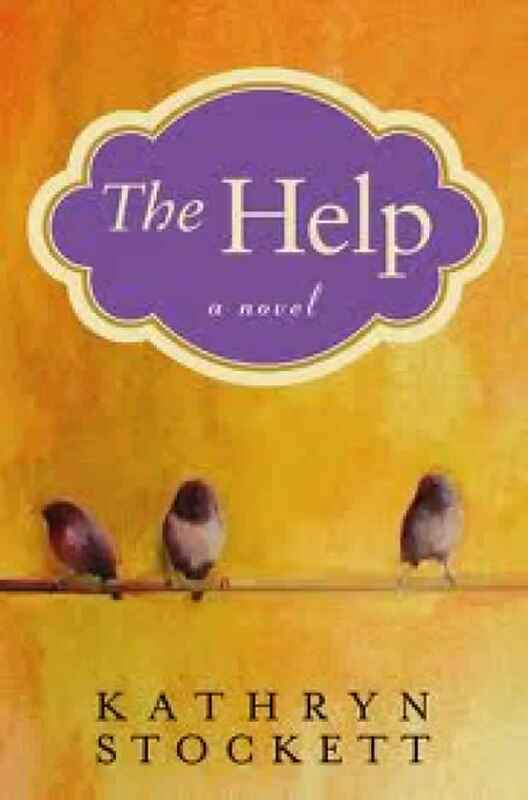 That book was Kathryn Stockett’s New York Time’s Best Seller, The Help. So I agreed to give it a go. Now, I saw the film when it came out back in 2011 without having read the book (not my usual habit) because my Mamma had read the book and filled me in on the main premise of the book. So I came at the book with a little different perspective than normal, especially since I loved the movie. Thankfully, my Mamma was able to recommend that I skip pages 360-363 because they were inappropriate. I would recommend the same, though the pages might be a little different if you read the hardcover or movie tie-in editions. 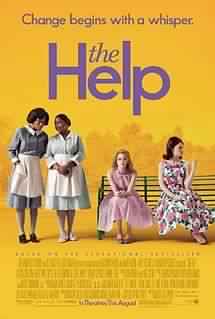 The Help is the first book I ever remember reading that was written through the eyes of three women– Aibileen, Minny, and Skeeter. Set in 1960’s Jackson, Mississippi, the book follows the ups and downs of these three women’s lives and relationships. Unusual relationships, too, as Aibileen and Minny are black “help” and Skeeter is a young, white woman who just returned from Jackson after graduating from Ole Miss. Personally, I could relate strongly with Eugenia Phelan, known as “Skeeter” throughout the book, the most. She was the slightly clumsy, bookish, sensitive, and dreamy aspiring writer, and arguably the main character of the novel. It is Skeeter’s dream that sets the plot of the story: to be a writer and to write about something real, something important. And so Skeeter risks everything- friendship, marriage, career- in order to make a difference in her culture. Overall, I enjoyed the book, getting a better view of what it was like to live in Mississippi in the 1960’s. And while I appreciated the Christian overtones throughout the book, the author’s bias clearly showed through in her support of homosexuality. One final warning, there is also a large amount of foul language, including taking the Lord’s name in vain, in the book. I would give The Help a “C”. 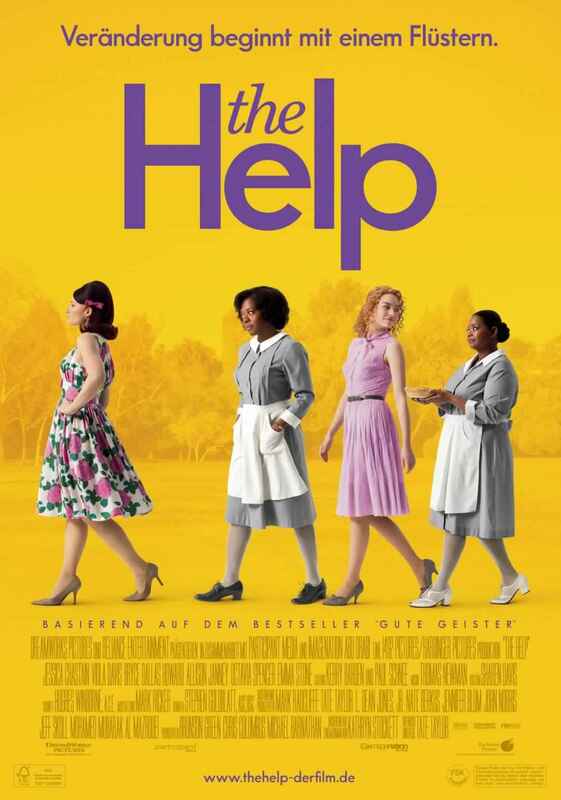 Have you read The Help? If so, what are your thoughts?